The well balanced formula helps to maintain strong bones and teeth as well as the health of the heart, muscles and nerves. It is also indicated for bone development and constant regeneration of bone, for the prevention and treatment of osteoporosis. 1 tablet twice daily, preferably 1 tablet in the morning and 1 tablet in the evening or as directed by the physician. It is best taken with or just after main meals with a full glass of water. 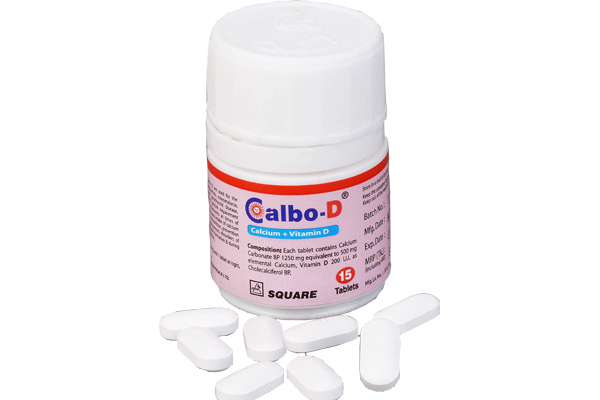 Calbo-D® 30 tablets in HDPE container.